This Wednesday 9/30/2015 (tomorrow) coming back from their summer break, the Ohio House will be going back in session. While they still have a lot of business to address, it is important we continue our push for true health care freedom in Ohio with the Health Care Compact (HB 34). At the federal level, the Health Care Compact (H.J. Res. 50) is picking up more conservative support with Ohio's own Congressman Jim Jordan signing on as a co-sponsor. Congressman Jordan was also pleased to hear & strongly supports Ohio's effort to become a member state of the Health Care Compact. Please take a few minutes to contact your Ohio State Representative and respectfully request that they support the Health Care Compact (HB 34) and put Ohioans in charge of their own health care destiny. Please call your OH House member and tell them to support the Health Care Compact - Click for OH House Directory. As many of you know Speaker John Boehner is resigning. Make no mistake: Speaker Boehner is resigning because of your hard work! Here at Tea Party Patriots, we could not be more proud of this accomplishment. And as a Tea Party Patriots supporter, you should feel proud, too! Tea Party Patriots were the first grassroots organization in the country to call for John Boehner's firing all the way back in 2012. I remember the initials call(s) in late 2011 when fellow Tea Party Patriots State Coordinator for Ohio, Marianne Gasiecki and I (Ralph King) spoke with Jenny Beth Martin about starting the effort of getting rid Speaker Boehner. With your help, we bombarded Congress with petitions calling for his ouster gathered through our #FireTheSpeaker campaign. We pressured members of Congress and we hounded him in the press. Replacing Speaker Boehner is going to be very fluid and the selection process is very inside politics with many different scenarios. First - please contact the GOP members of Congress and share your feelings with them on what you are looking for in the next Speaker. Second - continuing the efforts used to force Speaker Boehner to resign - we will now turn these efforts towards Mitch McConnell! Click here to add your name to the petition calling for Mitch McConnell to step down as the Majority Leader of the US Senate. For the first time in more than 30 years, you can witness a supermoon in combination with a lunar eclipse. Late on Sept. 27, 2015, in the U.S. and much of the world, a total lunar eclipse will mask the moon’s larger-than-life face. Unfortunately for Cleveland Tea Party Patriots, local cloud cover will likely make it difficult to see, much less photograph the blood moon. Fortunately, you can watch the live stream of the event at NASA’s website here from 8pm to 11:30. Probably the best part will start around 10:10, when the eclipse begins. UPDATE: 9/28: I had trouble with the links above; they were probably sluggish with heavy traffic, and the NASA stream kept interrupting with interviews. Morning after - here are great photos, as is usually the case at the UK Daily Mail here. 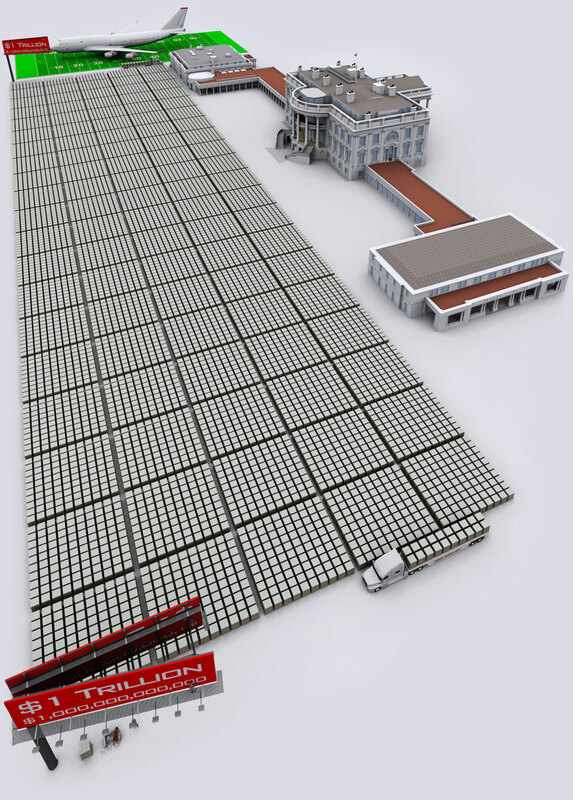 One trillion dollars in $100 bills on a football field with a 747 in the back. The fiscal year starts next week. Where’s the 2016 budget? Boehner and McConnell control both houses. Where’s the budget? It’s worse than you think. Read the whole thing here. 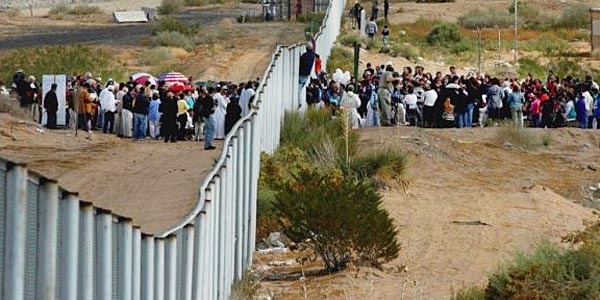 Ever since Donald Trump announced his candidacy and identified illegal immigration as a major issue, the media – and other candidates – have been forced to address the problem. So far, most of the candidates, whether running as Democrats or Republicans, are given a pretty poor grade for their positions over at NumbersUSA here. Most patriots who are closely following the campaigns so far may be surprised at the low ratings for, e.g., Marco Rubio, Carly Fiorina, and John Kasich. For those of you who don't want to watch the 2nd GOP debate, there's always an alternative. Stephen Green, Mr. Vodkapundit, is Drunkblogging the event at PJ Media. Why are Americans so united? They don’t resemble one another even if you paint them! They speak all the languages of the world and form an astonishing mixture of civilizations. Some of them are nearly extinct, others are incompatible with one another, and in matters of religious beliefs, not even God can count how many they are. Still, the American tragedy turned three hundred million people into a hand put on the heart. Nobody rushed to accuse the White House, the army, the secret services that they are only a bunch of losers. Nobody rushed to empty their bank accounts. Nobody rushed on the streets nearby to gape about. The Americans volunteered to donate blood and to give a helping hand. After the first moments of panic, they raised the flag on the smoking ruins, putting on T-shirts, caps and ties in the colours of the national flag. They placed flags on buildings and cars as if in every place and on every car a minister or the president was passing. On every occasion they started singing their traditional song: “God Bless America!”. Silent as a rock, I watched the charity concert broadcast on Saturday once, twice, three times, on different tv channels. There were Clint Eastwood, Willie Nelson, Robert de Niro, Julia Roberts, Cassius Clay, Jack Nicholson, Bruce Springsteen, Silvester Stalone, James Wood, and many others whom no film or producers could ever bring together. The American’s solidarity spirit turned them into a choir. Actually, choir is not the word. What you could hear was the heavy artillery of the American soul. What neither George W. Bush, nor Bill Clinton, nor Colin Powell could say without facing the risk of stumbling over words and sounds, was being heard in a great and unmistakable way in this charity concert. I don’t know how it happened that all this obsessive singing of America didn’t sound croaky, nationalist, or ostentatious! It made you green with envy because you weren’t able to sing for your country without running the risk of being considered chauvinist, ridiculous, or suspected of who-knows-what mean interests. I watched the live broadcast and the rerun of its rerun for hours listening to the story of the guy who went down one hundred floors with a woman in a wheelchair without knowing who she was, or of the Californian hockey player, who fought with the terrorists and prevented the plane from hitting a target that would have killed other hundreds of thousands of people. How on earth were they able to bow before a fellow human? Imperceptibly, with every word and musical note, the memory of some turned into a modern myth of tragic heroes. And with every phone call, millions and millions of dollars were put in a collection aimed at rewarding not a man or a family, but a spirit which nothing can buy. Keep Up the Fight to Stop the Iran Deal! The Stop the Iran Deal Rally a huge success! We had a wonderful turnout. Your donations and hard work made this event possible, and we cannot thank you enough! If you were unable to make the event, here is a link to watch the whole event on line - click here. Now is the time to increase the pressure and build on the momentum of yesterday’s event. Today we need you to make 4 calls to Congress and turn up the pressure on social media. 1. Call Senator Lindsey Graham at 202.224.5972 and also contact him via Facebook & Twitter. Thank Sen. Graham for acknowledging that the Corker-Cardin Iran Nuclear Agreement Approval Act is not being followed, and ask him to encourage Senate Republican Leadership to stand up to President Obama. President Obama wants to rush this process, but the clock has not started ticking yet. It is up to the GOP leadership to put the brakes on this! 2. Call Senate Majority Leader Mitch McConnell at 202.224.2541 & contact him via Facebook & Twitter. Tell Sen. McConnell that the Corker-Cardin Iran Nuclear Agreement Approval Act is not being followed and demand that the Senate stand up to President Obama. The Senate must tell President Obama that the clock has not yet started ticking because the President has not given all the side deals to Congress. Americans overwhelmingly oppose this deal (60% of Americans want it stopped). The risks of not standing up are too great. Iran will be able to fund even more terrorist activities once the sanctioned money (billions of dollars!) is released to Iran. 3. Call Senator Bob Corker at 202.224.3344 and also contact him via Facebook and Twitter. The message for Sen. Corker is the same as the message for Sen. McConnell (above). 4. Call your congressman (click here) and also tweet and comment on Facebook. Ask your congressman to vote yes on Pompeo-Zeldin resolution, to vote no on approving the Iran Deal, and to vote yes to prohibit President Obama from lifting the sanctioned money. Thank you again for your support for yesterday's rally. And thank you for making these calls today. It is impossible for us to convey just how important these calls are, and they really do make a difference! We regularly hear from Congressional offices that their phones were ringing off the hook because of Tea Party Patriots’ calls. Let’s make sure they hear from us today! Donald Trump posing for a photo with Capitol Police at the rally on Weds. Some reports, photos, and videos of the "Stop the Iran "deal" rally yesterday (Weds.) are here (yahoo), here (CNN), and here (Roll Call). As Rep. Gohmert said toward the end of the rally, the latest development, that GOP leadership was scrapping the vote on the rule, was a sign that the rally was effective. PJ Media reports: Conservative Revolt Forces GOP to Delay Iran Vote, Alter Strategy. Let’s hope it’s not just for show. But paving the way for a future lawsuit against the White House does not inspire confidence. Check out some of the reader comments over at Lucianne. If John Boehner can face a no-confidence vote, why can't Mitch McConnell? 1) 100% of his budget requests. 5) Effectively given away the Senate's treaty deciding powers. With two probable votes against McConnell (Cruz and Lee) and pressure on the others, McConnell might be toppled too. The sad fact is that most GOP senators agree with the McConnell agenda, but the spotlight on Senate presidential candidates and/or the threat of primaries for those up for reelection in 2016 could be enough to rid us of this supine gobbler. AT contributor Thomas Lifson adds: You can't replace something with nothing. I don't see who would replace him that would be any better. 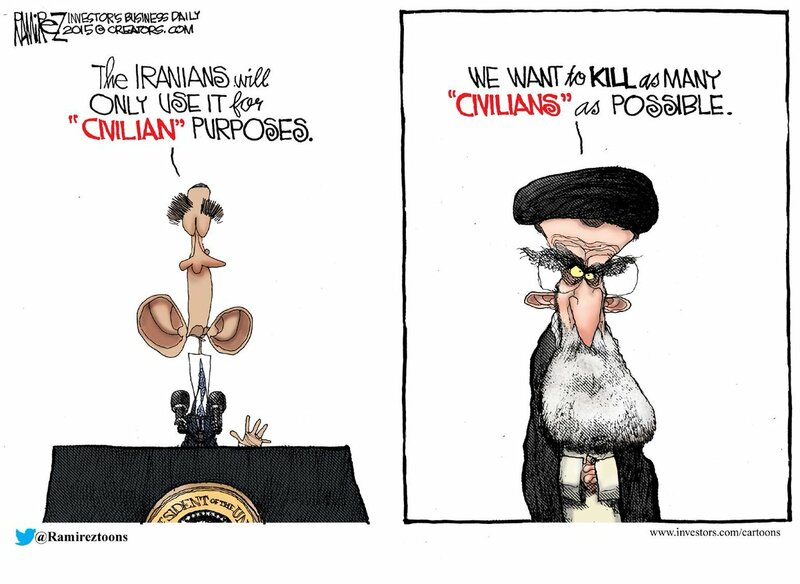 By now you are no doubt aware that President Obama unilaterally joined into an agreement with Iran. You have probably read how dangerous this deal is and how this deal would give Iran the ability to build a nuclear bomb within the next decade. And you have probably heard that a growing number of American voters, Members of Congress, and national organizations are coming out in opposition to this deal. But did you know that we have one final opportunity to stop this terrible Iran Nuclear Deal? 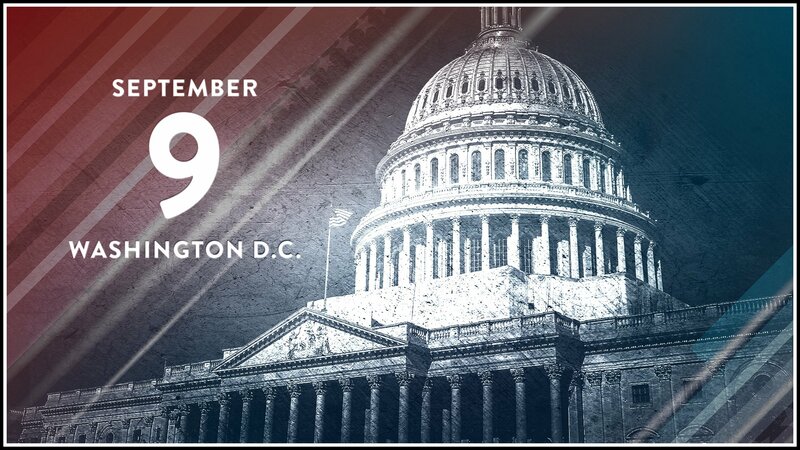 Thousands of Americans are coming to Washington, D.C. [today 9/9] for a rally in opposition to the deal. We have an unbelievable speaker line-up for the event: Ted Cruz, Donald Trump, Sarah Palin, Mark Levin, and Glenn Beck are all confirmed! This is our chance to tell everyone on Capitol Hill why this deal must be defeated! . . . If this event is streamed, we’ll post the link. UPDATE 9/9: Here's the link. Speaking of the ResponsibleOhio amendment on the next ballot . . . Senator Barbara Mikulski has announced that she will vote in favor of President Obama’s Iran deal. Sen. Mikulski’s support is critical because she becomes the 34th Democrat to announce that she will vote yea. Under the Corker framework so ingeniously conceived by Republican leadership in Congress, this means Obama’s deal cannot be defeated – under the legislation Congress is deemed to endorse the agreement unless it can muster a now unattainable 67 Senate votes (and a similar two-thirds of the House) to enact a resolution of disapproval over Obama’s veto. It is worth repeating that Republicans rationalized this abdication of their duty to use their constitutional powers to block Obama’s empowerment of America’s sworn enemies by claiming that the legislation ensured that Congress would get to review the deal. This, of course, was always preposterous. Good job, Mr. President, Sen. Mikulski, congressional Democrats, and GOP leadership. What better way to “reaffirm our commitment to the safety and security of Israel” than to conceive and grease the wheels for a deal that gives breathtaking aid and comfort to its enemy – and ours. Read the rest here. The Sept. 9 rally protesting the Iran “deal” in DC is still on, but sadly, it looks like the fix is already in.